Order different sizes of beehives made from 100% pine wood. 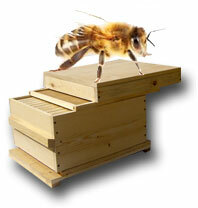 Order replacement parts and bee hive parts to your specifications. Learn more about Tom and his wonderful relationship with honey bees. 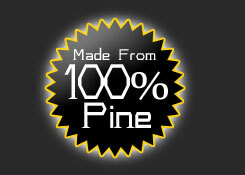 100% Pine Wood Beehives Made In The USA. Las Vegas Beekeeping Expert. Tom's Bee Hives is a quality bee hive builder, honey extruder, beekeeper, and raw honey provider based out of Las Vegas, Nevada. 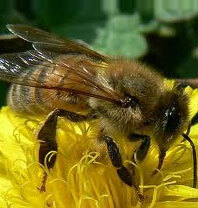 We offer many beekeeping services in Las Vegas. We are happy to sell you raw honey, custom built beehives, honey extruders, and even come to your home to remove your bees safely. Tom's Bee Hives is now offering Propolis and Royal Jelly, products produced by local Las Vegas honey bees. We sell Las Vegas honey that actually comes from bees in the local Las Vegas area. Get a 2 pound jar of honey for only $24. Where to get it? Local pickup at Tom's house is the only way to get this special source of honey. Buying it direct from the source is a great way to make sure nothing extra is added to your raw honey. Many raw honey providers get their honey from Arizona or California bee farms and sell it as local honey. 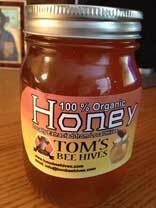 Not Tom's Bee Hives - our honey comes from backyard beehives right here in Las Vegas. There is a limited quantity available, so call Tom right away to schedule a good time to come get your honey at (702) 303-4517. Tom's Bee Hives also offers beekeeping services where the bees are not killed, they are relocated to another area. We want the bees to keep living here, so killing them does not help our environment. Bee exterminators kill the bees rather than removing them safely. If you prefer to get the bees away from your family and your home, but you don't want them dead, calling Tom is a great option. If you call us for bee removal, you can meet Tom himself, as a master beekeeper relocates your bees to a safe place where their honey can be used. Call (702) 303-4517 to speak with Tom about our affordable beekeeping services and bee removal. We build custom beehives made from 100% pine wood, which is made in the United States. Propolis is used by many people to reduce symptoms of a wide variety of health issues. Propolis is a red or brown resinous substance collected by honey bees from tree buds. It is used by the bees to fill crevices and to seal and varnish honeycombs. Call Tom today to learn how you can purchase Propolis here locally in Las Vegas. Royal Jelly is also used by humans for a wide range of issues. Some people apply royal jelly directly to the skin as a tonic or to the scalp to encourage hair growth. Royal Jelly is a milky honey bee secretion produced by worker bees that is used in the nutrition of larvae, as well as adult queen bees. Royal jelly is secreted from the glands in the heads of worker bees, and is fed to all bee larvae. Call Tom and get your Royal Jelly, while supplies last. We are now offering honey extraction services for local beehive owners in Las Vegas. If you have a hive and don't have the set up or experience to extract the honey from the hive, you can bring your frames to Tom himself and he will get the raw honey bottled up for you to take home. Honey extruders can be expensive. Save yourself having to buy all the equipment needed to own a hive and still get the benefit of harvesting your own local honey. Call for details, price depends on amount of frames and other details that require discussion. Once again, Tom has embraced his beloved Greek family tradition... building quality beehives. Meet Tom Lioubas, a Greek immigrant who came to America. The oldest of four children, Tom was born in 1938 to family with generations in the bee hive business. Known for their craft in the industry, in 1962 Tom and his family were exclusively commissioned to build beehives for the Greek Agricultural Department. It was a big success! Tom remained active in the family bee hive business while opening and operating a fine cabinetry shop for several years. Upon his departure for America, he left the business to his younger brother. In 1983 Tom received a great honor and was published in the Las Vegas Review Journal as a top rated entrepreneur. He has weathered the economy through its depressions and prospered with its booms. Tom has had an interesting journey that is far from over.